‘Leadership, Innovation and Partnership for Green/Blue Pacific Economies’. Leadership. The importance of leveraging Collective Leadership for sustainability. According to recent UN surveys current gaps in implementing sustainable development policies and programs is due to the absence of political will and good governance. The PIDF Inaugural Conference therefore examined the leadership necessary that will enable environmentally socially, culturally and economically sustainable development. Partnership.Multi-stakeholder high-impact collaborations is critical for sustainable development. It provides fresh opportunity for doing development better by recognizing the qualities and competencies of each sector whether government, civil society or private sector, and finding new ways of harnessing these contributions for the common good. The Summit was notable in its adoption of a people-centered, development-oriented and inclusive multi-stakeholder approach in its activities. 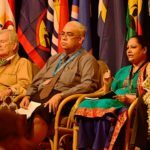 ​The Conference mission was to bring together leaders of Government, Industry and Non-Governmental Organisations from the Pacific to address through the green economy the most pressing development challenges facing the region over the next decade and beyond. 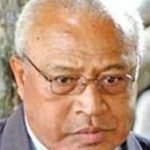 The meeting has brought about a shift in power relations in the Pacific by valorizing voices that usually go unheard in our development dialogue. The outputs essential to bringing about Green Economic Policies into the Region have six dimensions. They must be both concrete and strategic. Some must lead to concrete action within countries. Others must offer, to policy-makers in the region, proposals for action at the national, sub-regional and regional levels, to enhance economic and social development through the green economy. In all cases they must specify the most effective partnership models to implement the projects, plans or policies proposed. An enhanced understanding of the work of the PIDF and its role as a unique regional platform for the integration of the three pillars of sustainable development in national economies. The Conference comprises plenary and concurrent sessions. The plenary sessions will feature presentations and discussions by prominent leaders who all share a deep passion for the development of the Pacific and have unique perspectives on how it can be achieved through the Green Economy. There will usually be two scene-setting presentations at 20 minutes each. It will then be followed by response/insights from 3 panelists then Questions and Answers. The concurrent sessions will feature detailed discussions by participants led by senior regional and national public servants, and development practitioners from the Pacific. These high quality analyses will contribute to our understanding of the challenges facing inclusive and sustainable development in the Pacific and the options that exist for addressing these challenges through the green economy. Professor Elisabeth Holland has been curious about the world ever since she can remember. Early in her childhood, a love of nature and how things work were the seeds she nurtured throughout her life and led her to become an Earth and atmospheric scientist. 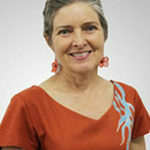 Elisabeth Holland, is currently the director of PACE-SD and Professor of Climate Change at the University of the South Pacific in Suva Fiji where she is studying climate change. 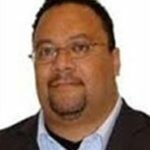 Tongan native, Kami grew up in Papua New Guinea and graduated with an accounting degree from the University of Technology of PNG. He completed MBA in Marketing/eCommerce as a Fulbright scholar at Vanderbilt University. Kami has worked with the United Nations in New York on networking small islands nations by setting up the Small Islands Developing States Network (SIDSNET). 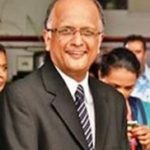 Chairman, Fiji Airways Board of Directors, Suva Nalin Patel is the Managing Partner of G. Lal +Co., Chartered Accountants. He has extensive knowledge in professional services with over 38 years of experience gained internationally and locally in all facets of Accounting Practice and Business Advisory Services, working with a diverse range of international and local clients in a variety of industries, including aviation. 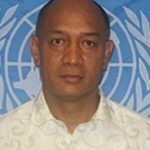 ​A Fijian serving Civil Society Organisations for fifty-one years. In the 60s and 80s established the Methodist Lay Training Centre in Davuilevu, served as a General Secretary of the Pacific Conference of Churches as well as the sub unit on the Education of the World Council of Churches in Geneva, Switzerland, 1982 – 1991. Upon returning home, she served as a staff of the Pacific Theological College, Lecturer at Davuilevu Methodist Theological College. Chey Scovell holds a degree in International Business and Asian Studies (Economics, Political Sc.) from Griffith University and Graduate Diplomas in Export Management and Government (Finance and Management). 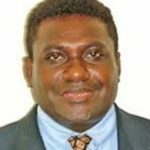 Having focused his tertiary study and professional interest on Asia and the Pacific he believes sustainable and inclusive economic growth for PNG will come through increased focus on value-adding of our renewable resources. 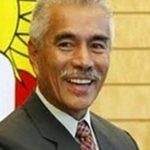 Anote Tong is an I-Kiribati politician with Chinese heritage who served as President of Kiribati from 2003 to 2016. He won the election in July 2003 with a slim plurality of votes cast against his older brother, Dr. Harry Tong and the private lawyer Banuera Berina. He was re-elected on 17 October 2007 for a second term . In 2012, Tong was reelected for a third term, although with a significantly smaller percentage than in the previous two elections. Kay Rala Xanana Gusmão , born José Alexandre Gusmão is an East Timorese politician. A former militant, he was the first President of East Timor, serving from May 2002 to May 2007. He then became the fourth Prime Minister of East Timor, serving from 8 August 2007 to 16 February 2015. He has been Minister of Planning and Strategic Investment since February 2015. 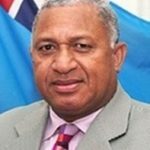 Josaia Voreqe Bainimarama, CF, MSD, OStJ, Fijian Navy, known commonly as Frank Bainimarama and sometimes by the chiefly title Ratu is a Fijian naval officer who has been Prime Minister of Fiji since 2007. He was the Commander of the Fijian Military Forces from 1999 to 2014. Dr. Young-Woo Park, a national of the Republic of Korea, joined UNEP as the Regional Director of the Regional Office for Asia and the Pacific in October 2008. 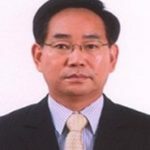 Dr. Park brings with him his long and vast experience working in environmental management and international cooperation both with governments and the private sector. Before joining UNEP’s Asia Pacific office, Dr. Park was the President of the Business Institute of Sustainable. Winston was born and raised in Tonga. He has spent most of his life in Fiji. He studied in Fiji, England and Israel. 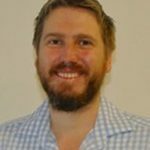 He has published works in the area of Sociology, Ecology and Theology. Books and chapters have been published in Fiji, New Zealand, England and Germany. He lectured in Moana Leadership for twelve years at the Auckland University, New Zealand. 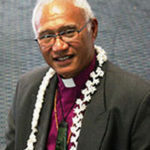 He became the first Dean of the College of the Diocese of Polynesia. Permanent Representative to ICAO and Consul General of the Republic of Korea was born on the 1st February 1953 in Seoul, Korea. 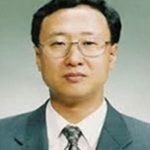 In 1977 he graduated from Seoul National University, where he majored in Sociology, he graduated from SNU Graduate School for Public Administration in 1979. In 1977 he passed the High Civil Servant Examination and joined the Ministry of Foreign Affairs.